A freshly baked chocolate chip cookie and a warm welcome await you at the DoubleTree Suites by Hilton Hotel Mt. Laurel. Near Philadelphia's corporate corridor, this Mt. Laurel hotel is close to corporations including BAE Systems, Bank of America, IBM, and General Electric. 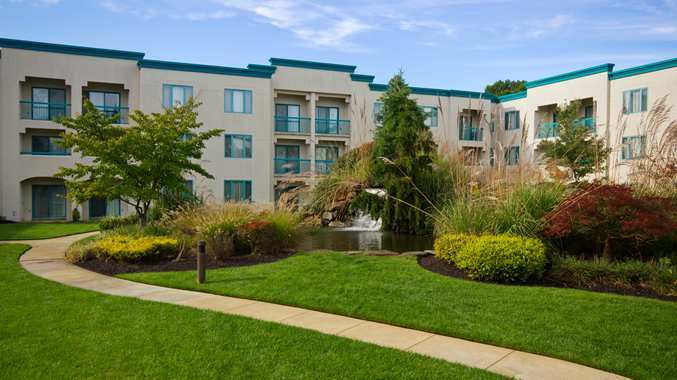 Our beautifully landscaped Falls Garden Courtyard features two waterfalls and Koi ponds. Enjoy a stroll or listen to the soothing sounds of the waterfalls. Consider the extra space and amenities in a two-room suite at this hotel when looking for hotels in Mt. Laurel, NJ. Each suite features a separate living room and bedroom with two televisions, refrigerator, microwave, two telephones, remote printing, and high-speed internet access. Relax on the private balcony. Unwind at the soothing spa and indoor pool or have a stress-relieving workout in the fitness center, which is fully equipped with the latest cardiovascular and strength training equipment. Sample creative American cuisine at GG�s Restaurant. Open for breakfast, lunch, and dinner, this Mt. Laurel restaurant provides a relaxing setting to enjoy a full meal or a refreshing drink. Close to Philadelphia International Airport, this Mt. Laurel, NJ hotel serves as a convenient venue for events and meetings. Take advantage of the versatile event space, friendly and professional team, and modern equipment available for hire for meetings and events of between 25 and 300 guests. Stay productive at the business center with complimentary printing. Keep in touch throughout the hotel with complimentary high-speed internet access in the lobby, lounge, and restaurant. Vacationers are only minutes from historic Philadelphia, its museums, and cultural attractions. Be on a golf course in less than ten minutes, or take an easy drive to Atlantic City, the New Jersey Shore, Six Flags Great Adventure, Philadelphia professional sports complexes, the New Jersey State Aquarium, Fort Dix, or the U.S. Mint. 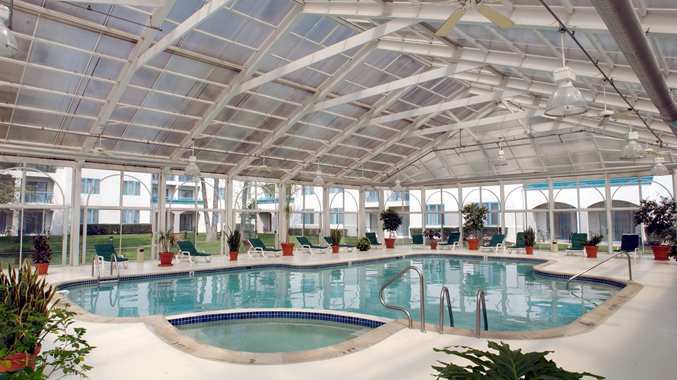 Relax by our indoor, heated pool and spa. Work out in our fitness center. Dine at our upscale GG's Restaurant, featuring American cuisine and a full wine list. At the Doubletree Guest Suites Mt. Laurel, your comfort is guaranteed. As always - our very special warm chocolate chip cookie at check-in.